It’s not often you can secretly pull off something spectacular, but we did it! In late March we were informed of an injury one of our dear co-workers’ dogs had sustained. Newny, who is a Pit-Mix was playing at the dog park when she tore her ACL. 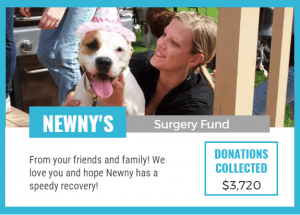 Shortly after the injury Newny’s owner Kristen who has been with HSS since 2013 was told by a Vet that the only way to make her dog better would be for her to have TPLO (tibial-plateau-leveling osteotomy) surgery to repair her ACL. Of course, Kristen was distraught with emotion, but also worried about the financial aspect of it. This surgery costs $4,000 and needed to be done quickly to avoid the risk of tearing another ACL. That same day we pulled together the HSS troops and set up a Go Fund Me account for Newny. In less than one week we were able to collect $3,720. 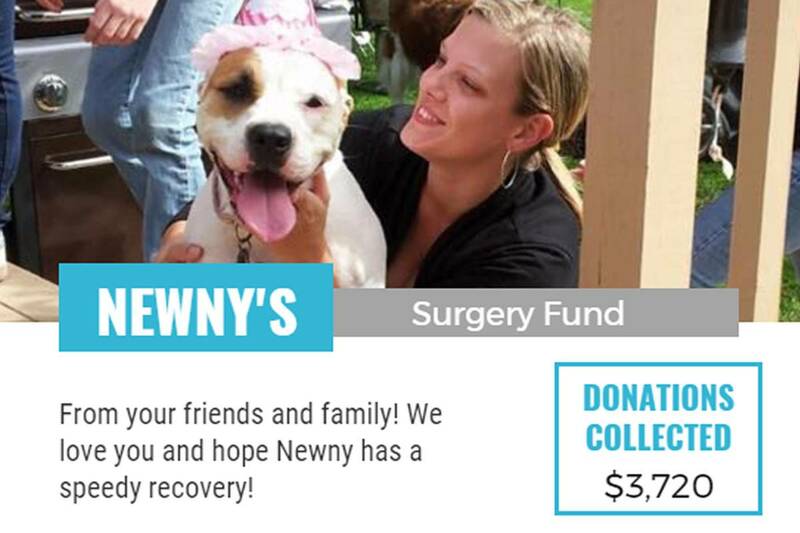 Newny had surgery and is now on the road to recovery and Kristen can breathe a sigh of relief. This is just another example of how the people at HSS are more than co-workers, they’re family.